YUM! These banana & almond butter “sandwiches” are healthy, delicious, and an extremely versatile snack! Thank you Barb for sharing your great recipes below! Barb likes to freeze these sandwiches and eat them after a hard training session. She also likes to add them to bowls like the one she created below. 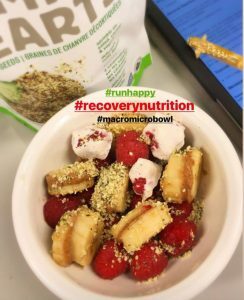 It has fresh raspberries, fresh raspberries dipped in coconut greek yogurt and frozen topped with a sprinkling of hemp hearts. 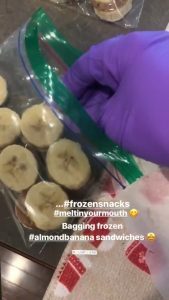 And, you can throw a few frozen sandwiches into smoothies to thicken or just blend frozen sandwiches on their own to get a banana/almond ice cream-like mixture. 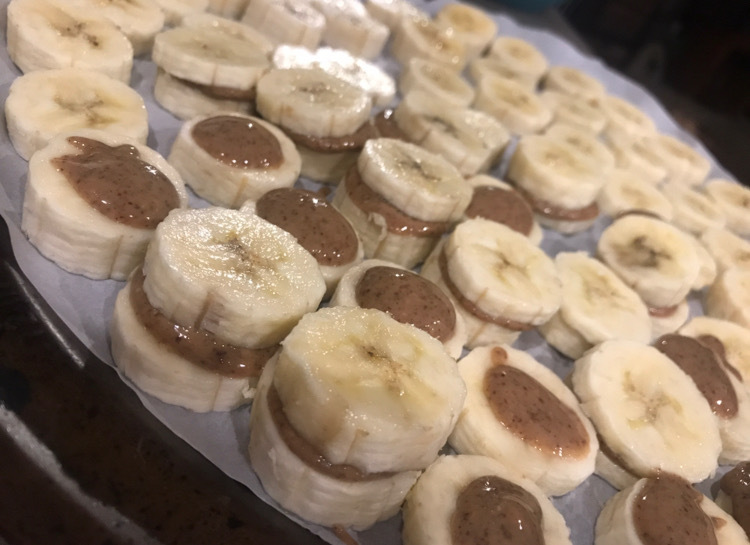 If you want to up the protein content you can add some plain protein or collagen powder to the almond butter before placing between the banana slices. The options for these tasty treats seem endless! Give them a try and see what creations you can come up with.